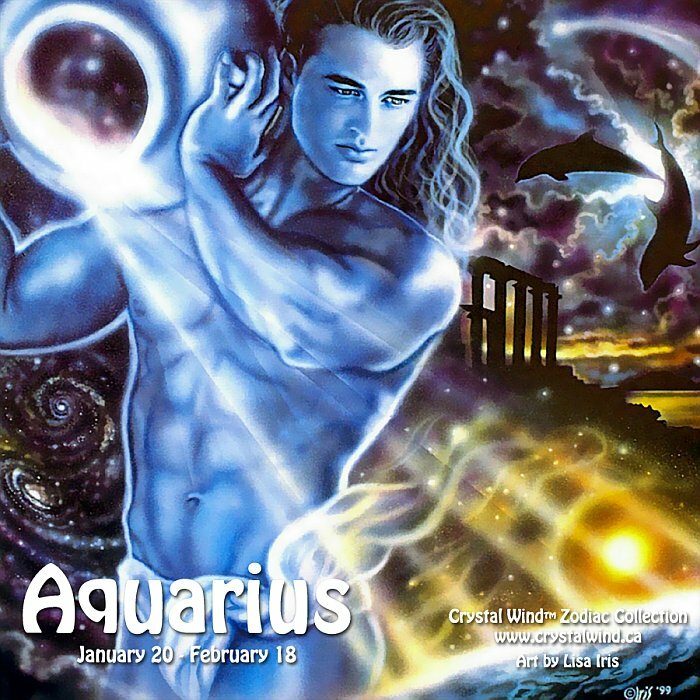 You can purchase this Aquarius poster by Lisa Iris by clicking here. Blessings! As the eleventh sign of the zodiac, Aquarius represents the eleventh stage in the evolution of man and his place in the universe. In Aquarius, the individuality of man so carefully nurtured in Leo, now becomes part of the greater spectrum of society as a whole. Capricorn sets up the structure and rules of society, and Aquarius takes on the role of making the organizations of society function as the people-oriented institutions they were intended to be. 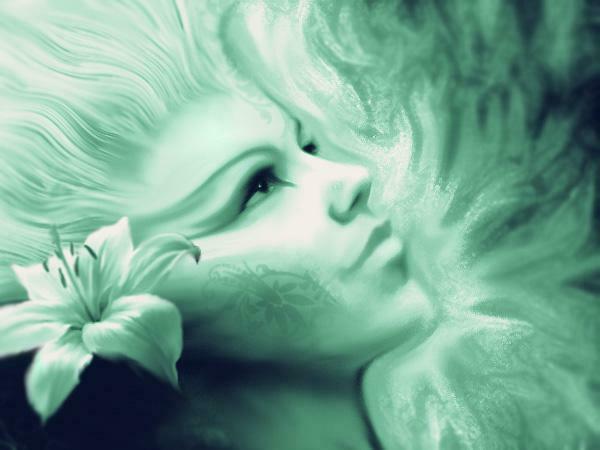 Aquarians are the original "organization men" of the zodiac. Their societal orientation, loyalty, fairness, and objective nature are reasons why they tend to attract many friends and acquaintances in life. Though they are not above wanting to live well, many Aquarians are more interested in people than they are in amassing great wealth or taking on the responsibilities that invariably accompany such a life style. When they cannot afford some luxury, they rationalize why they didn't need it in the first place. Aquarians are stubborn and resist changing their opinions or accepting new ideas that they do not like or with which they do not agree. Big changes in life are accepted as a challenge, but small changes that throw off their plans are not tolerated very well. 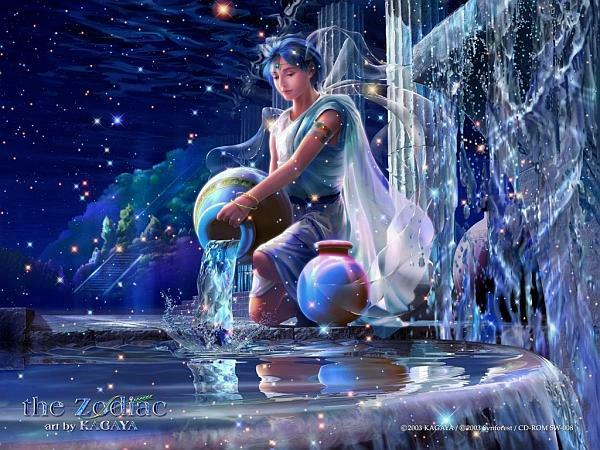 The astrological symbol for Aquarius is the figure of a man pouring water. The water is seen as mankind's collective consciousness. 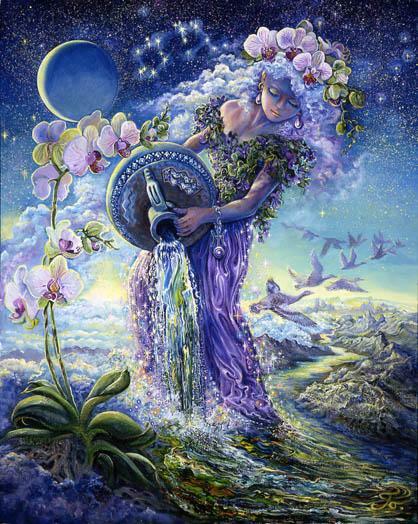 It depicts Aquarians as disseminators of the spirit of humanity. Many Aquarians, in tune with their celestial heritage, are idealists who champion the highest principles to which humanity can aspire. However they are also extremely independent thinkers. When confronted with authoritarian demands or dogmatic principles to which they do not subscribe, they rebel. They may hesitate to take the initiative at times, but once they decide a situation or idea is worthwhile, they become involved and aggressive in pushing it forward. They don't mind being asked to do something but they resent being told to do it. Those who want to gain their favor will help share the work load without being asked. Aquarians react to everything they experience in life with an intellectual orientation. Before they take physical action, before they assess the practical worth of something, and before they sort out their true emotions, they try to visualize it objectively as a kind of mental exercise. In relationships, their intellectual approach makes them appear interested but not particularly passionate or possessive. It does not necessarily mean they really lack passion. When they do focus their feelings, their passion can be as intense as it is inspirational. The modern ruler of Aquarius is Uranus, planet of the unorthodox and eclectic mentality of mankind. The ancient ruler of Aquarius is Saturn, planet of restriction and structure. Such different characteristics seem to directly contradict one another, but a close look at the Aquarian personality shows that both planets co-exist in a strangely compatible way. 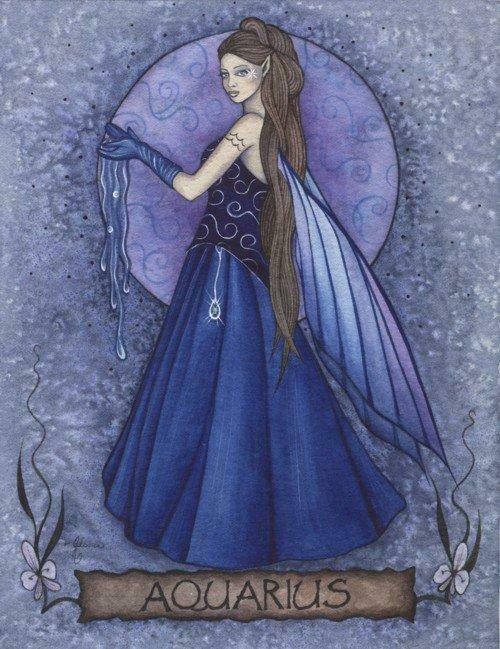 Aquarians demonstrate association with Uranus by being unpredictable. Saturn's influence gives them stability. The two influences generally mean that when Aquarians suddenly change course, or do something unpredictable, they are not likely to be acting on a whim or a bet but for some very practical or advantageous reason. They favor the unique as well as the traditional. Sometimes they are either so involved with the past (history and antiques) or so tuned in to the future (spaceships and neon clothes) they lose track of the present. 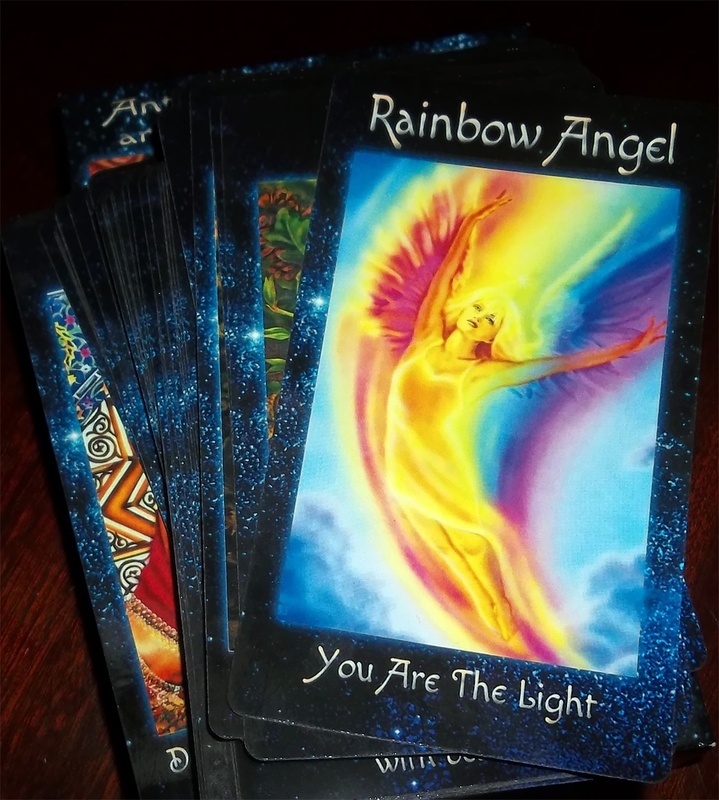 Exhibiting the stability of Saturn, they may live unvaried, even boring lives; feeling very comfortable and secure in such an unchanging, stable environment. Sooner or later however, they are apt to encounter circumstances that make it hard for them to know what they will be doing next. They often adopt life styles and ideas that are counter to current trends. The odd and unique fascinate them, and they are rarely caught off guard by abnormal situations and strange people. Aquarians are good eaters but may not care what's on the menu. Most of them are indifferent cooks. As long as they can participate with a partner, or as part of a team they are enthusiastic about sports and, as a result, may not have trouble keeping physically fit. When left on their own however, they become lazy and reluctant to engage in what to them is a lonely series of exercises with which they quickly become bored. Broad jumping, camping, ballooning, tennis, swimming, racquetball, and baseball are some of their favorite activities. Science and engineering, international finance, writing, music, psychology or social work are areas of special interest to Aquarians. Aquarian colors are silver, aqua, and purple and the more electric shades of pink and blue. Vulnerable parts of the body are the shins, ankles, and circulatory system. 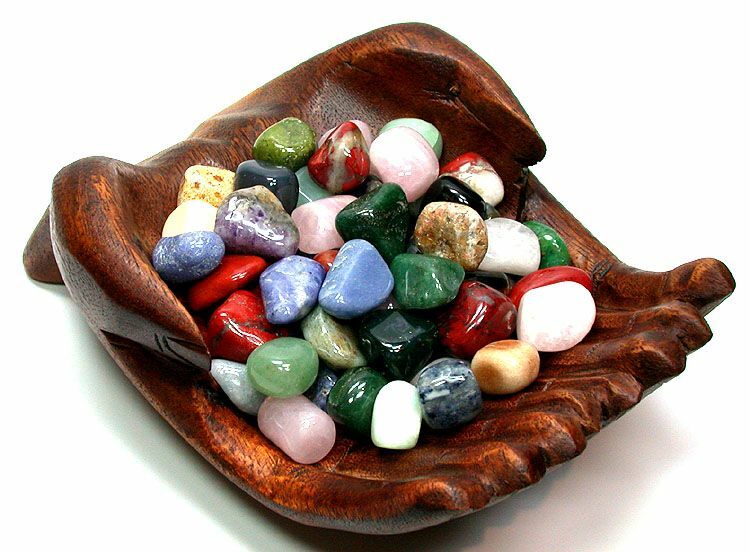 Cramps, allergies, sudden illness and freak accidents are common Aquarian complaints, though they may also suffer from various nervous disorders. The birthstone for Aquarius is amethyst. This gem is believed to confer stability and mental poise on those who wear it. Flowers for Aquarians are the more unusual blossoms and include the gladioli, tiger lily, trillium, bird of paradise, and jack-in-the-pulpit. © 2010-2019 crystalwind.ca. All rights reserved.